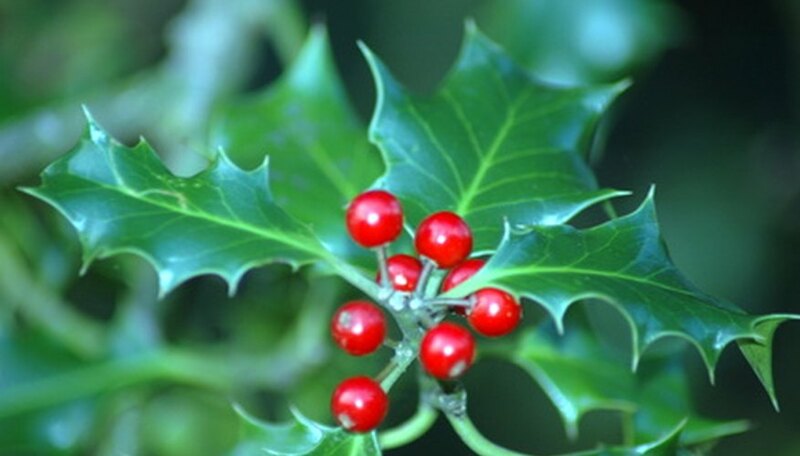 Holly bushes, botanically known as Ilex, are evergreen plants that come in different varieties. They are common in USDA zones 3 to 9. These plants grow under full sun and can take only a small amount of shade. They prefer moist, well-drained, slightly acidic and fertile soil. Hollies range in height from less than 1 foot to over 70 feet tall. They have dark, evergreen leaves, creamy-white flowers and berries, which are usually red. Burning Bush (Winged euonymus), which grows in USDA zones 3 to 10, is a cold-hardy shrub that can grow as high as 20 feet tall and 15 feet wide. Compacta, the smaller kind, grows up to 8 feet high and up to 7 feet wide. This bush favors direct sunlight and hates extreme moisture. Burning Bush has dark green leaves, spring through summer, which turn bright red in fall. The deep, dark red leaves almost glow with the red fall color. The orange and red fruit of the Burning Bush is ornamental. This deciduous bush withstands acidic or alkaline soils and a wide range of temperatures. Established Burning Bush shrubs can take some drought. Burning Bush best complements Nellie Stevens, which is a kind of holly bush that grows near rocks or concrete walls. The beautiful combination can provide a colorful palette to any garden. Balloon Flower (Platycodon grandiflorus) grows in average, well-drained soil in full sun to part shade and tolerates slightly acidic to alkaline soil in zones 3a to 9b. It typically grows up to 3 feet tall and features unique, puffy flower buds shaped like hot air balloons. 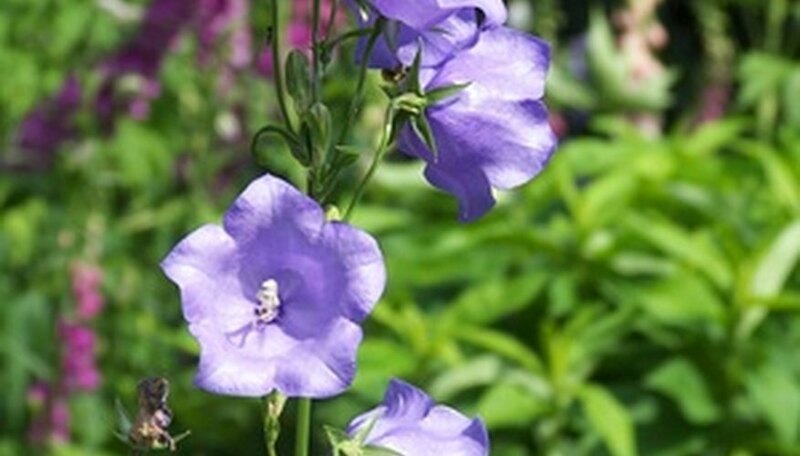 Each flower opens into 3-inch diameter, single blue, upward-facing bell-shaped flowers with five pointed lobes. Its oval, dentate leaves measure up to 3 inches long. Balloon Flower mixes well with holly bushes and provides good color and long summer bloom to the border front or rock garden. Angel Trumpets (Brugmansia x insignis) is a perennial plant hardy to USDA zones 3a to 11. They attract bees, butterflies and even birds, grow best under full sun to partial shade and can reach a maximum height of 20 feet. White to pale pink, smooth-textured blooms measure from 4 to 24 inches long, are fragrant and appear in early spring to early winter. Angel Trumpets prefer mildly acidic to mildly alkaline, moist soil. These plants complement holly bushes grown in night gardens. The perfumed blooms open up when darkness falls and remain until dawn. 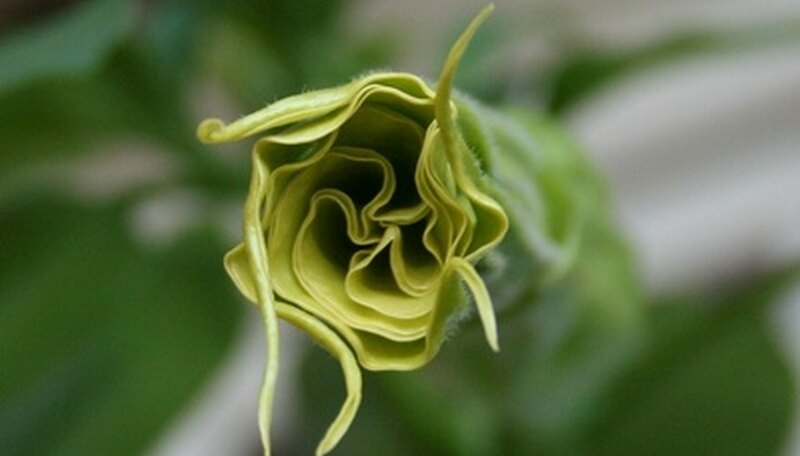 The intoxicating scents are similar to various scents such as musk, lemon, mint, lily, hyacinth, citrus, jasmine and gardenia. The fragrance is most noticeable on warm summer evenings.